Look who's running Windows Mobile! Sony Ericsson is joining the likes of Motorola, LG, and Samsung and is releasing their first Windows Mobile handset—the Sony Ericsson XPERIA X1. Though the name leaves something to be desired, the Sony Ericsson XPERIA X1 looks good on paper. According to Microsoft's press release, the Sony Ericsson XPERIA X1 is HSDPA and WiFi capable. It also features a unique arc slider with wide-pitch and has a high finish metal body. 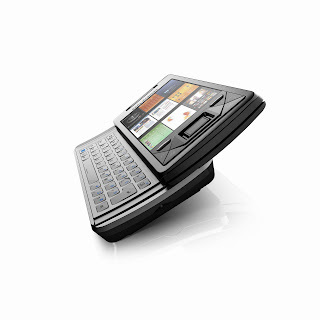 Like most smart phones in the market, the Sony Ericsson XPERIA X1 has a QWERTY keyboard and boasts of a 3 inch screen. I don't have exactly any picture of the Sony Ericsson XPERIA X1 but if you happen to be in the Mobile World Congress in Barcelona, head on over to Sony Ericsson's booth and and send me a shot—please? No word as to when it will be available and its price but who's willing to take a bet that the Sony Ericsson XPERIA X1 will marketed as another iPhone killer?